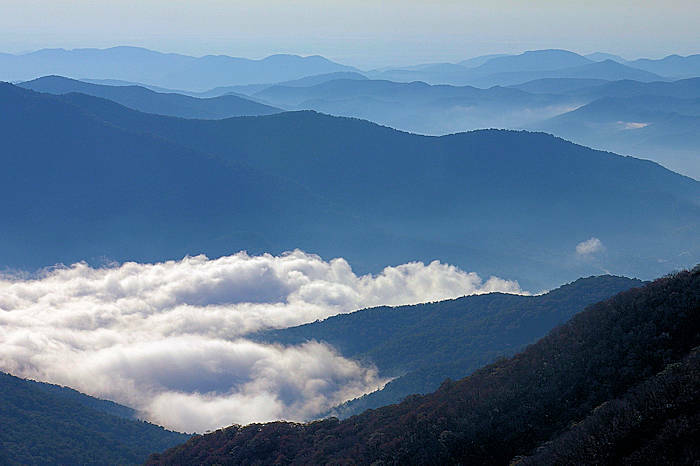 The beautiful Blue Ridge Mountains cover most of western North Carolina, including Asheville. While they extend from Georgia to Pennsylvania, the highest peaks are found here. In fact, Mt. Mitchell is the highest summit east of the Mississippi River. Much of the Blue Ridge Mountains in our area are protected by Pisgah and Nantahala National Forests, home to rivers, rare plants and a multitude of wildlife. The Blue Ridge is noted for having a blue tint, especially when seen from a distance. Trees release isoprene into the atmosphere to create the blue haze. Find thousands of miles of hiking trails and many spectacular waterfalls. 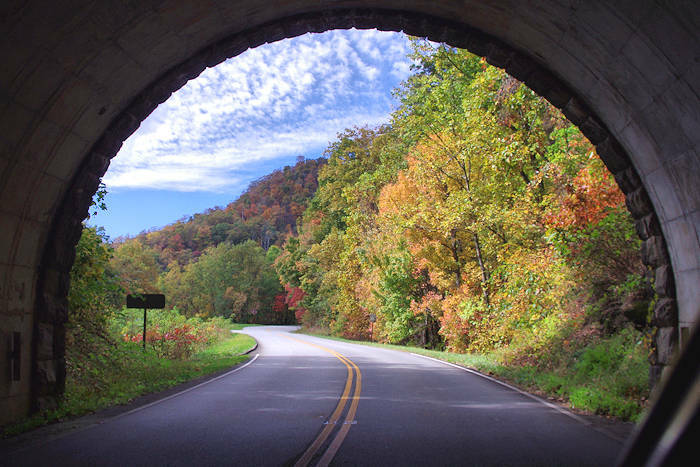 Enjoy the views from one of the most scenic drives in America, the Blue Ridge Parkway. Asheville is a perfect base camp for exploring the mountains any time of year. Each season brings its own beauty. The winters are mild in the valleys but deliver plenty of snow in the highest mountains and ski resorts. Spring brings the greening of the mountains as leaves progress from valleys up to the mountaintops. Wildflowers abound. Summers bring plenty of sun, along with showers to nourish the waterfalls. Fall is the favorite time of year for many as the foliage turns a multitude of colors. When exploring, remember temperatures can vary greatly. Typically, the city of Asheville is about 15 degrees warmer than the highest peaks. One of the most scenics roads in America (and part of the National Park Service), the Blue Ridge Parkway offers unmatched, spectacular mountain scenery. Drive north or south on the Parkway from Asheville and quickly ascend in elevation. It's all about the journey, so go slow, stop frequently and enjoy. To return to your starting point, you can often exit the Parkway onto a highway that provides a faster trip back. 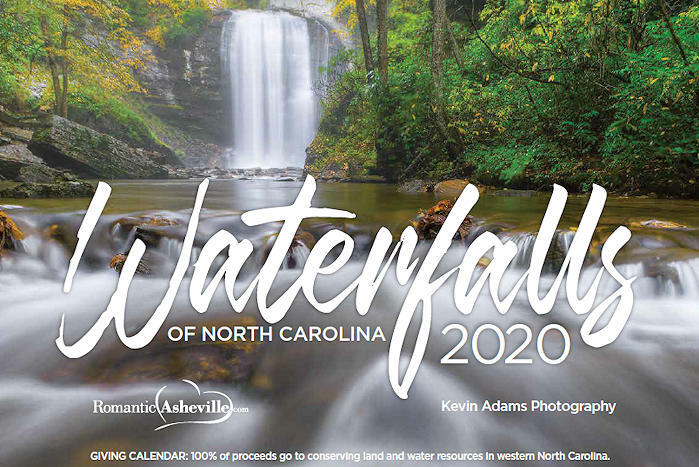 Explore and play in 500,000+ acres surrounding Asheville with some of the most beautiful and rugged mountain scenery, creating some of the best recreational opportunities in eastern North America. Pisgah National Forest covers much of the north and central western mountains of North Carolina - with rivers, waterfalls and hundreds of miles of trails. The largest national forest in North Carolina (531,286 acres) covers much of the western tip of the state. 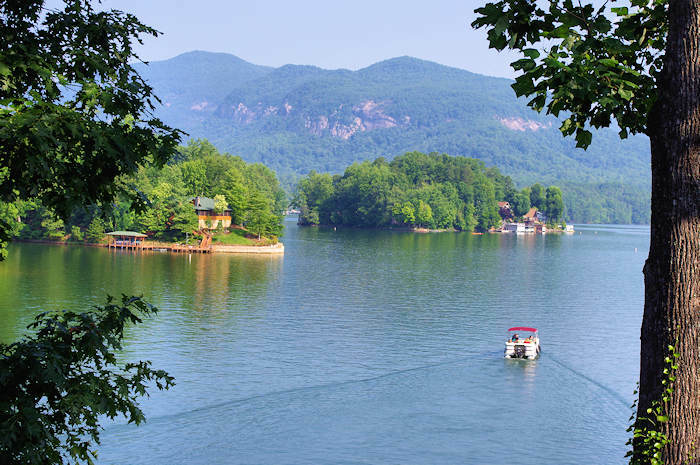 Find a wealth of outdoor activities, including whitewater on the Nantahala River, waterfalls and plenty of scenic views. So many options for mountain bike riders of all skill levels. Plus, bike the Blue Ridge Parkway or a greenway. Take a "walk in the woods" in the most scenic sections of the 2,174-mile Appalachian Trail near Asheville, high in the North Carolina mountains. See our favorite six-day hikes for all fitness levels. Find the best places to stand-up paddleboard in and near Asheville on the pristine waters of the Blue Ridge Mountains. Rent SUPs, take lessons and even take a guided river trip. Fun way to see fall color, too!